Vacation condo, with style and convenience. Located within walking distance to Wiscasset. A great home base for exploring Boothbay Harbor and many more midcoast Maine destinations! Vacation condo, with style and convenience. 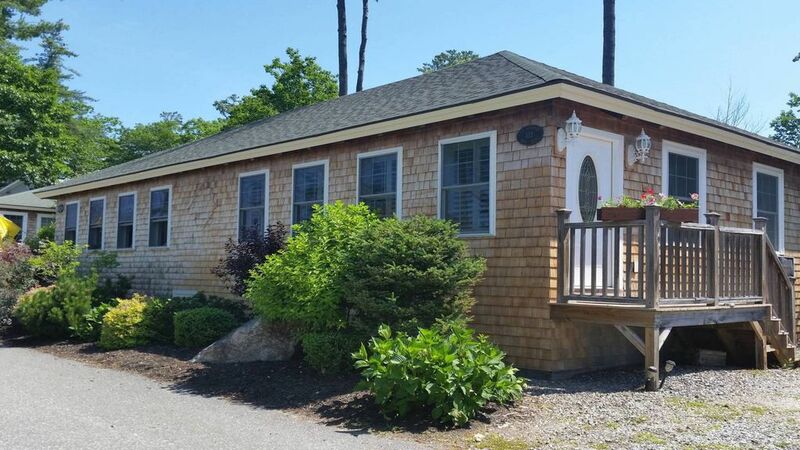 Located within walking distance to Wiscasset. A great home base for exploring Boothbay Harbor and may more midcoast Maiine destinations! A one bedroom condo, perfect for two, or a small family (a futon can sleep an additional 2 people). All the bed linens are included. Small sitting area with television. Eat in kitchenette includes plenty of dishware, hot plate, microwave, coffee maker, electric hot water kettle, toaster and small frig. A full bathroom, with fresh towels. Plan a day excursion, or relax inside with the view of the harbor. Make yourself at home in the cottage! Outside the condo association has common areas to enjoy, including a 100 ft pier. Fireworks are not allowed in the complex. We had such an amazing time. It was quiet and charming, exactly what we were hoping for. The bed was incredibly comfortable, and it had full New England charm on display.